Chill vibes? Check. Gorg décor? Check. Picture perfect patio? Check. Delish food that’s also healthy? CHECK. New Modern Organic Mexican restaurant, Tocaya Organica, literally checks all our dream dining boxes. 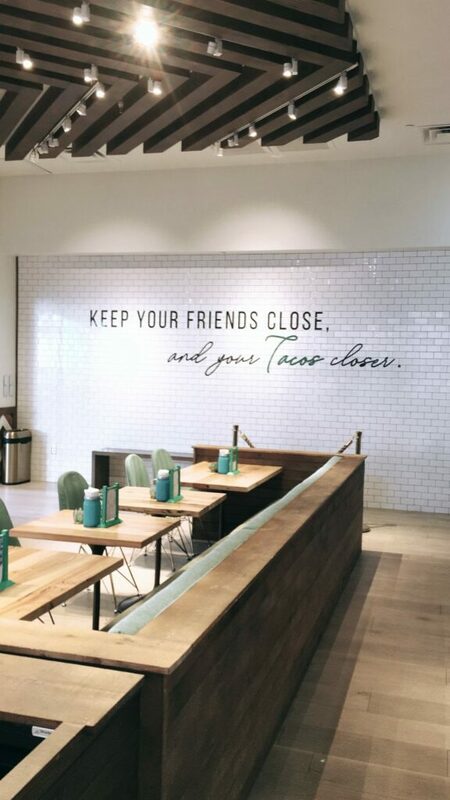 The SoCal based eatery recently open it’s first Arizona location in Kierland Commons and we are here for it. 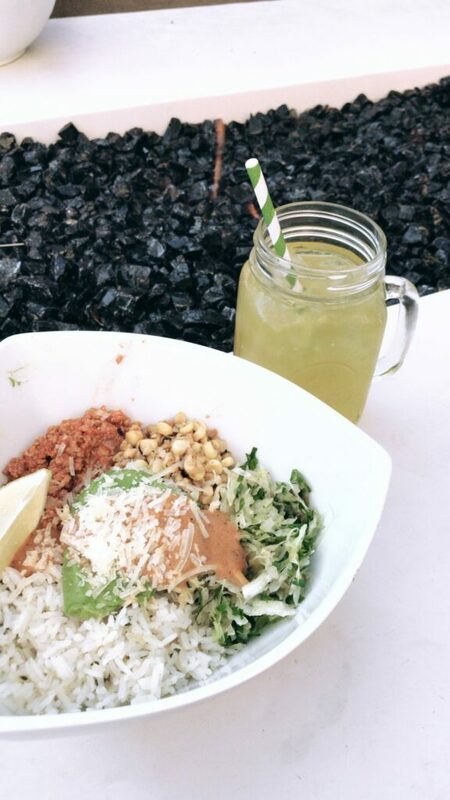 The crave-worthy, fast casual concept offers a variety of mouth-watering Mexican favorites including salads, tacos, bowls, burritos and of course, margaritas. Tocaya’s menu uses high quality, natural and sustainable ingredients like locally sourced produce and fresh meats and fish that are 100% free of hormones, steroids and antibiotics (yes, please). Plus, dishes can easily accommodate diners with specific dietary needs including vegan, vegetarian, and gluten-free. We visited Tocaya on the perfect, Arizona winter day – i.e. 67 degrees and sunny – perfect for al fresco dining. Between the plush patio furnishings, cozy fire pits and succulent filled dining area, you really can’t ask for a better outdoor situation. We kicked up our fit and sipped on a refreshing coconut ginger green tea and a creamy, dreamy horchata. For main courses we went for a couple hearty bowls including Street Corn En Fuego featuring a blend of sweet street corn, crunchy jalapeño cabbage, cilantro lime rice, spicy turkey picante and queso manchego along with the Black Bean & Quinoa bowl topped with chile lime pepita seeds, peanuts, avocado, achiote chicken and jalapeño jack. Both scored major yum points. The seasonal Keto Bowl with Spanish-style cauliflower rice, sautéed tri-color peppers and oven-roasted brussels sprouts also caught our eye and will definitely be our order for the next visit. We couldn’t leave without trying a couple of Tocaya cocktails (it was Sunday Funday after all) and went for the Strawberry and Tamarind margaritas, both just as delicious as they were beautiful. 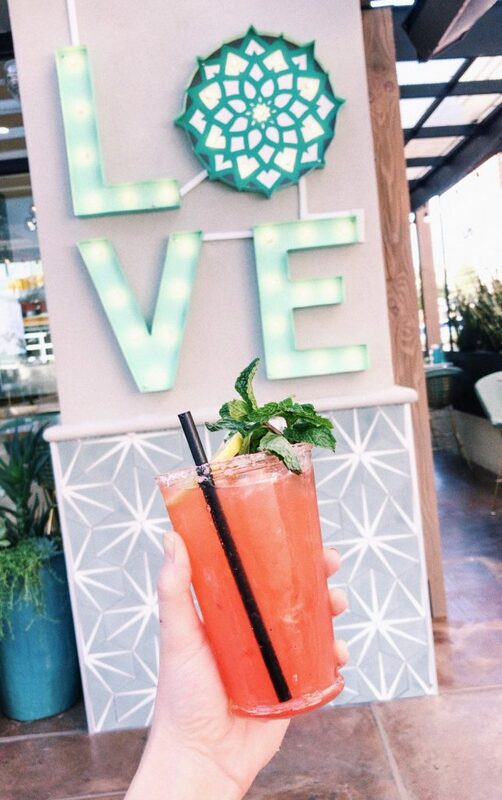 We’ll definitely be making a return visit for happy hour running 3p – 6p daily to snag some $5 ‘ritas along with $2 bites. Tocaya also makes for a fab #TacoTuesday destination with $3 tacos and $5 margs all day long. 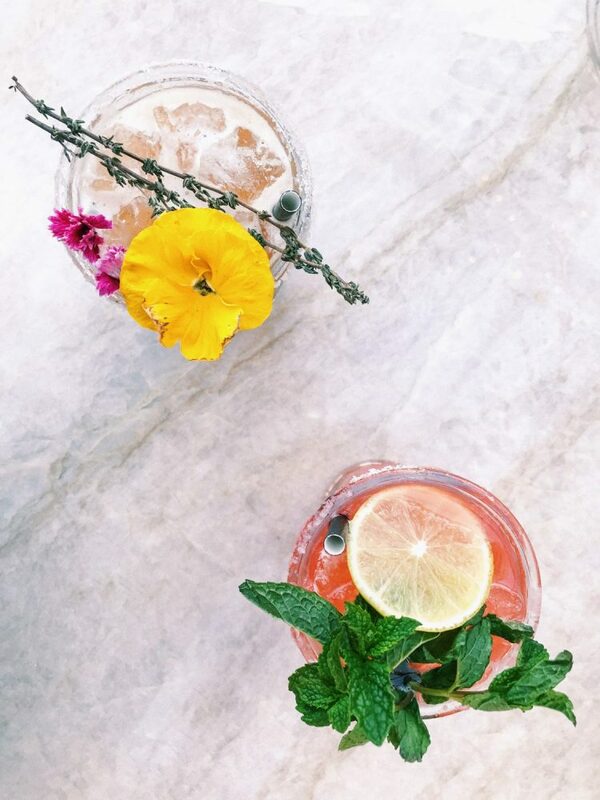 Guests who don’t want to imbibe can sip on a variety of fruity agua frescas or nutrient rich fresh juices. The cherry on top of any Tocaya Organica experience is the Waffle Ice Cream Sandwich: vegan vanilla ice cream between two sugary churro waffles and drizzled with decadent chocolate sauce…we’re still dreaming about it. For more info visit www.tocayaorganica.com and follow them on Instagram at @tocayaorganica.